Need to attend a party right after work? Don’t have enough time to dress up? Cannot decide your look? Well, here’s some good news! If you think you need to begin your makeup from scratch, you’re wrong. You can ditch those long makeup routines and quickly switch from desk to drinks in a jiffy. How, you ask? All you need to do is master a few simple tips to ace that fresh and glamorous look and you’re sorted. On-fleek brows have the power to make or break your look. If you have unruly brows at the end of the day, just grab the Lakmé Absolute Precision Eye Artist Eyebrow Pencil - Dark Brown to define your brows and to give them a natural finish. 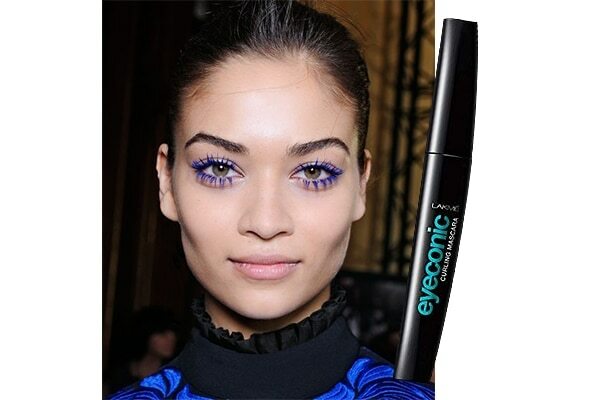 Up your glamour quotient by switching your regular black mascara with the Lakmé Eyeconic Curling Mascara - Royal Blue. Adding volume as well as colour to your lashes can switch up your makeup game instantly. Your makeup may tend to wear off at the end of the day and that can be pretty evident. To look like you never spent 8-9 hours at your desk, simply reach out for the Lakmé Absolute Highlighter - Moon-Lit to highlight the high points of your face, such as your forehead, bridge of the nose, cupid’s bow, chin and cheekbones. And you’re all set to glow! Your Lakmé 9 to 5 Weightless Matte Mousse Lip & Cheek Color - Candy Floss doubles as a lip and cheek colour for versatile use. Once you’re done perfecting your pout, just take some on your finger and dab it very lightly on your cheeks for that added rosy glow. Want to wear smokey eyes for your date night? Yes, it is possible! All you need to do is just smudge your already-there eyeliner with the help of a brush, and voila! You can use the Lakmé Absolute Kohl Ultimate Kajal – Black to achieve this look.